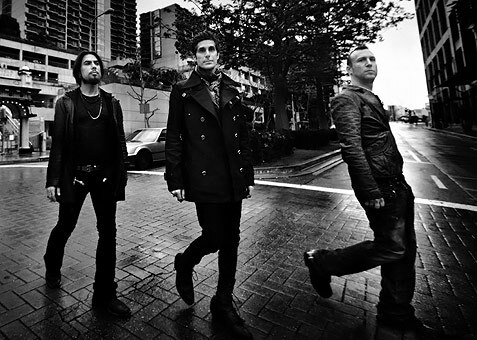 Bullz-Eye.com recently interviewed Dave Navarro as Jane’s Addiction was about to release their first album since 2003. In the interview he was asked about advice he’d give to aspiring musicians. BE: What is the number one piece of advice you would give to someone starting a band today? DN: I’ve answered that before, and to be perfectly frank, in this climate and the way the music business is, I would say the number one piece of advice is to do exactly what you love, and make sure you love doing it. I think back to when Jane’s Addiction started in the late ’80s, and we weren’t really aware that we would amount to much. We thought we were doing something special, but given the climate and what was successful at the time, we just felt that it was best to do what we wanted to do and stick to who we were, and as a result of that, we were able to gain some attention. The climate has changed so much, and the media has changed so much over the years, I’m astonished with how many people I’ve come into contact with that are really looking for fame, period. And those are all the wrong reasons to do this. You’d just be chasing some dream, and once you’ve reached a certain level of success, their whole life will be okay. But the fact of the matter is, they’re still stuck with themselves at the end of the day. BE: So music’s not the end goal for a lot of these bands? It’s just celebrity that’s more important to them? DN: I don’t want to say that, because there’s a really great rock movement happening, and there are lots of great artists out there. I’m saying that, and I’m sure you can understand, if you look in the more mainstream/pop world, there are a lot of people just chasing the notoriety. And hey, they’re happy doing that, I’m not saying anything negative about them. I’m just saying to upcoming bands, make the goal to work on the music that you’re most proud of, and the rest should fall into place. It’s good advice, and the notion applies far wider than the music industry. Ask yourself why you pick any profession, job or career. Are you doing it for the money or other types of rewards, or is it something you really want to do for its own sake. You have to be honest with yourself.